It’s been said that wherever you place the most focus, that is your primary object of desire. Time, energy, thoughts, dreams, hopes, visions, values – whatever? If you are devoting more time to one thing than another, that is your most prized possession or desire. It can be a thing, a person, an activity, or a pursuit – it doesn’t really matter. At one time in my life, when I was young, it was this cute girl in my class at Rockwood Junior High School. Julie Dreiling. Whenever she was in my vicinity, I was clueless to anything else around me. Later in life, it was firefighting. From15 to 19 years old, I was enamored with everything about firefighting. It consumed so much of my time that after two years I dropped out of college and began to pursue a full-time professional emergency services career. Ever since the beginning of the industrial age, men (in particular) and people (in general) have gotten busier and busier. Where we used to work together, in a naturally occuring community, we now work alone (at least emotionally), trapped by the pressures of our employers. Well, at least we think we’re trapped, but are we? 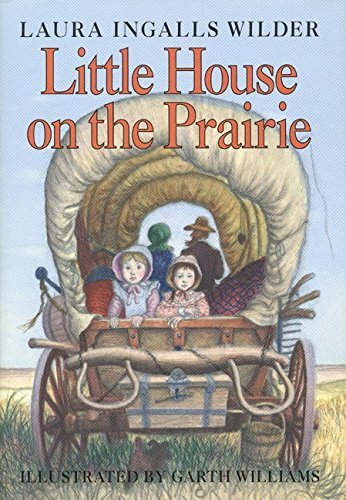 For the past several months we’ve been listening to Laura Ingalls’ Little House on the Prairie, books on tape and CD. Since I’ve never read the books, I’ve been having fun listening whenever I’m in the care with my family. I had an interesting insight last Saturday night as we drove home though. Mr. Ingalls had hired a threshing machine to come in and help harvest the oats. All day long they worked very hard to keep up with this massive machine drawn by 12 horses. It was all they could do to keep up with this loud, noisy, rattling piece of machinery. When they broke for lunch, the 12 men consumed mass quantities of food and then went back to working hard. Instantly it hit me: I am willing to bet that he didn’t take a two week vacation! Nope, that’s the problem with our so-called labor-saving devices. They do save us a lot of work, but we don’t take that time to ourselves. Instead we pour the time saved right back into the next task at hand. I am willing to bet that he didn’t take a two week vacation! And so the industrial revolution began with promises of more leisure, and a life supplied by machines and computers. However, this has never come to fruition. This insight made me sad. It made me long for the family and community that I’ve never experienced. Sure, there was great hardship and poverty back then. And of course, because of our productivity, we have nice cars, nice houses, and nice clothes – not to mention an abundance and variety of foods. But at what price? It has been said that wherever you spend the most time, energy, and focus, that is your treasure. I’ve never been accused of being balanced. I spent my 20s in a chemically altered state of consciousness. I spent my early 30s devoted to my rapidly rising, and rewarding, career. I spent my late 30s and early 40s in school. Many men will tell you that they spend so much time at work because they love their family. But if you were to ask their family, they would prefer that daddy be home more – and emotionally available. The truth is, men get rewards from their work. They don’t have to be emotionally available, but they are praised for their ideas, successes, and accomplishments. The harder they work, the more they are affirmed. The rewards are fewer and less noticeable in parenting. Sometimes the payoffs don’t come for decades. Sometimes, being emotionally available to one’s family is draining. Families aren’t like toasters, we can’t take them apart, replace a few parts, and put them back together again. The dysfunctions and baggage are outside of our control. We feel helpless and yet we want to fix it. That’s what dads do, we fix things. But how do you fix a toddler who was born with a propensity to have uncontrollable and unreasonable tantrums? How do you fix a wife who has unreasonable expectations and needs your tenderness (which you don’t know how to give)? It is much easier to devote your energy and aspirations to your work and career. Life, and family, are not always easy. But in the long run, you’ll be better off if you make family your number one opportunity for success. That’s my theory anyway. I’ve not seen it work, but I’m not going to miss the opportunity to allow my kids to rise above the dysfunctions that were handed down to me. I’ve made my mark on the world, but I’m convinced that my legacy will be exponentially greater by pouring my heart and soul into my family. I want to build a solid enough foundation that my kids can stand on my shoulders and achieve all the successes available to them. The best way to do that is to pur my heart and soul into their mother – and show them what real love is all about. The second best tool I have for them is to be emotionally available, balanced, and healthy. ← Just a Peachy Couple of Days! I think you’ve heard the plans we have for our family. I truly believe that you need to put energy not only into your family but into yourself as well. It gets more complicated though when you take into account that you have to allow your partner to put energy into herself. It’s effort… but it can yield great rewards both in the short and long term. Good post Gary, I love reading something I can think about later on.